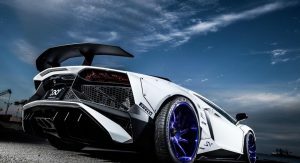 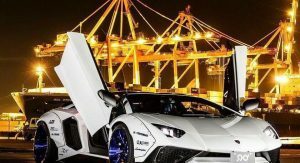 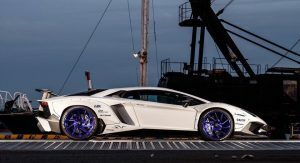 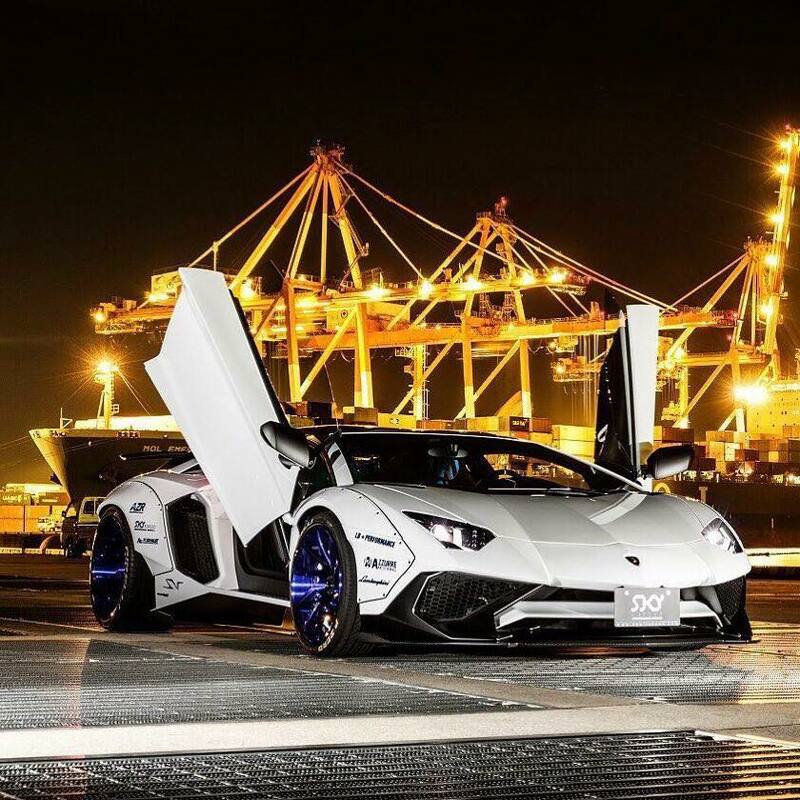 The Lamborghini Aventador SV is one of the most eye-catching vehicles to ever leave the automaker’s Sant’Agata production facility. 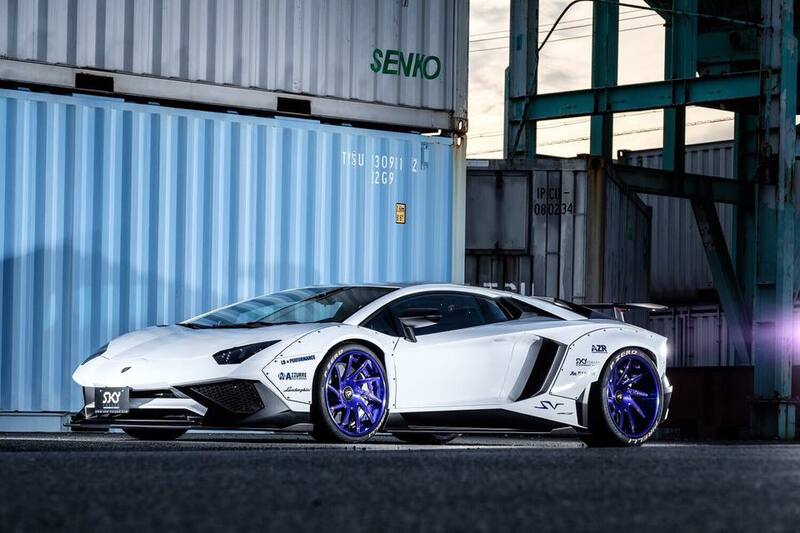 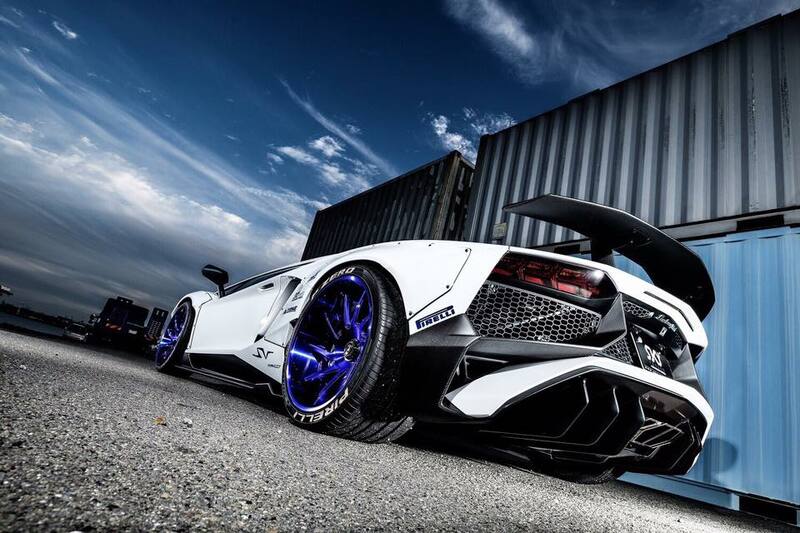 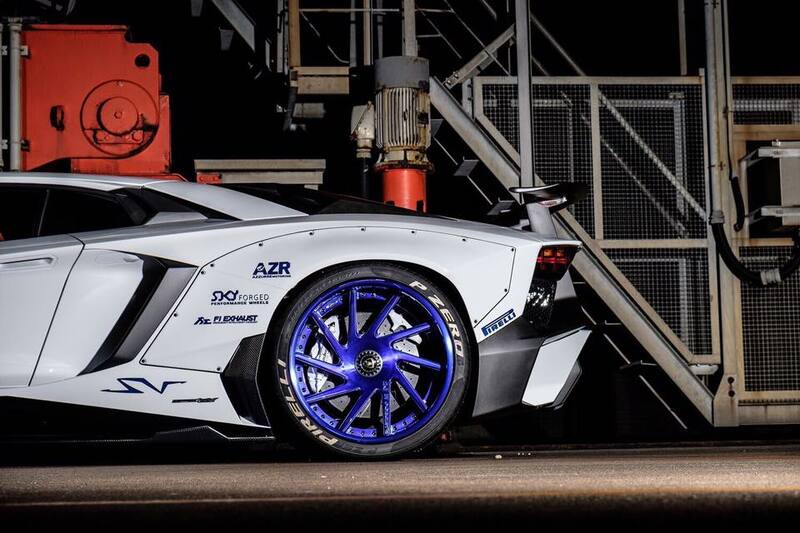 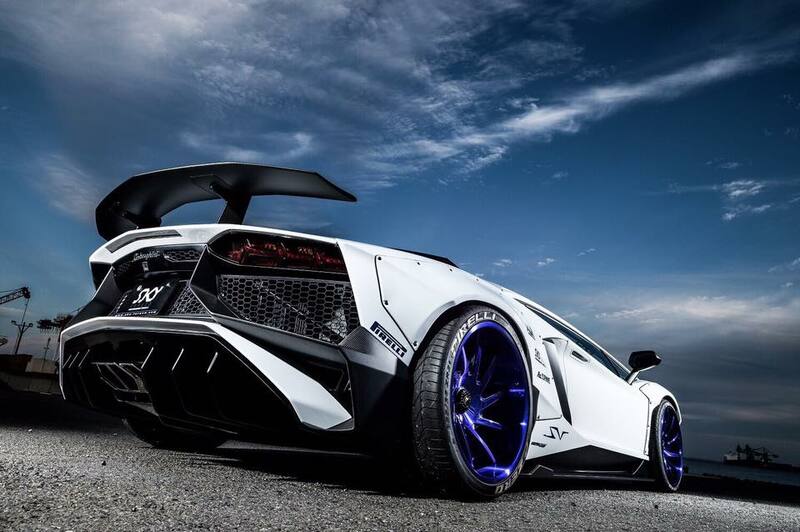 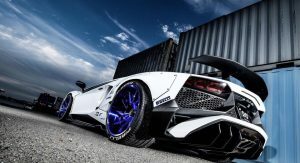 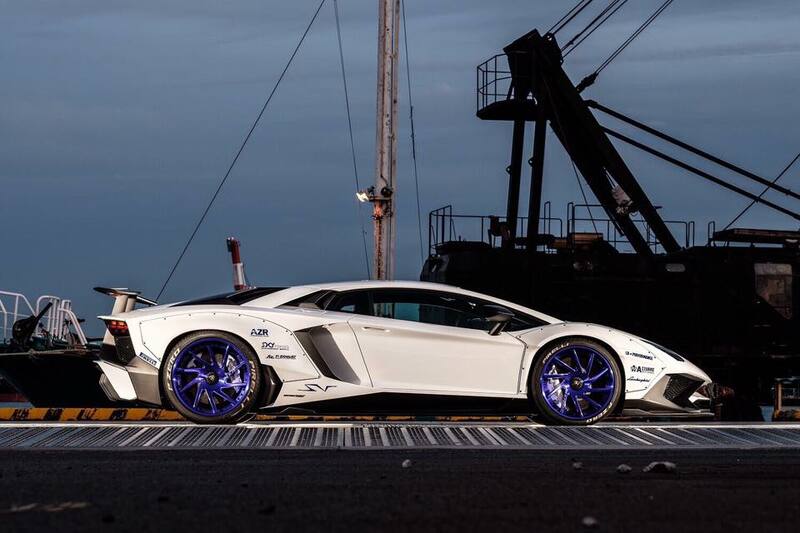 However, Liberty Walk’s latest SV makes for a vehicle arguably more ridiculous than the Lamborghini Centenario. 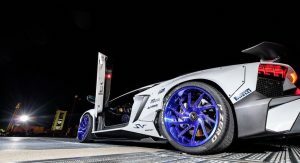 This SV started out like any other of the 600 coupes produced with a simple white paint scheme and a plethora of matte carbon fiber parts. 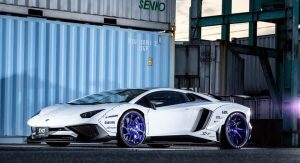 Eager to overhaul its road presence, the Japanese tuning company has fitted a set of its characteristic fender flares alongside a set of bright blue center-lock wheels. 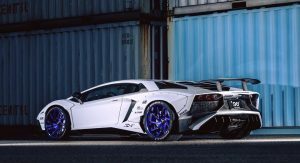 There are also some other modifications made to this Aventador SV, namely the fitment of carbon side skirts and a carbon front splitter. 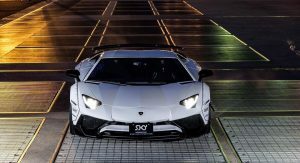 Last but not least is an aftermarket FI exhaust that helps unleash the full fury of the supercar’s naturally-aspirated 6.5-liter V12. 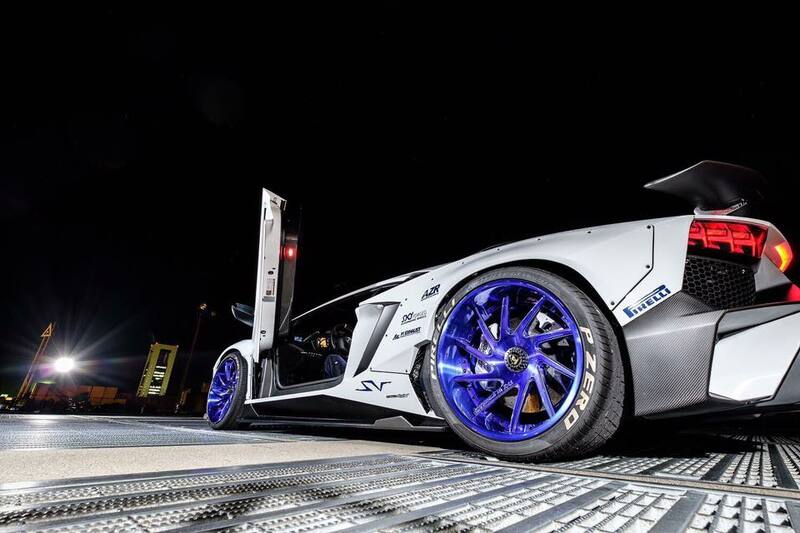 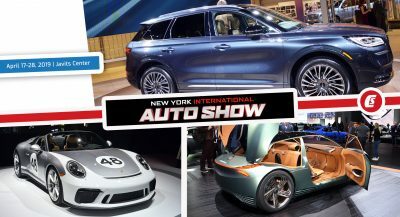 appearance company, not tuning. 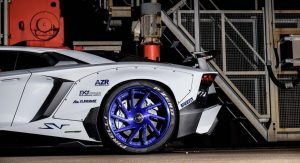 they could have just put the tires and wheels on it without ruining the body and call it a day, it would have looked almost the same but with no ruined body. 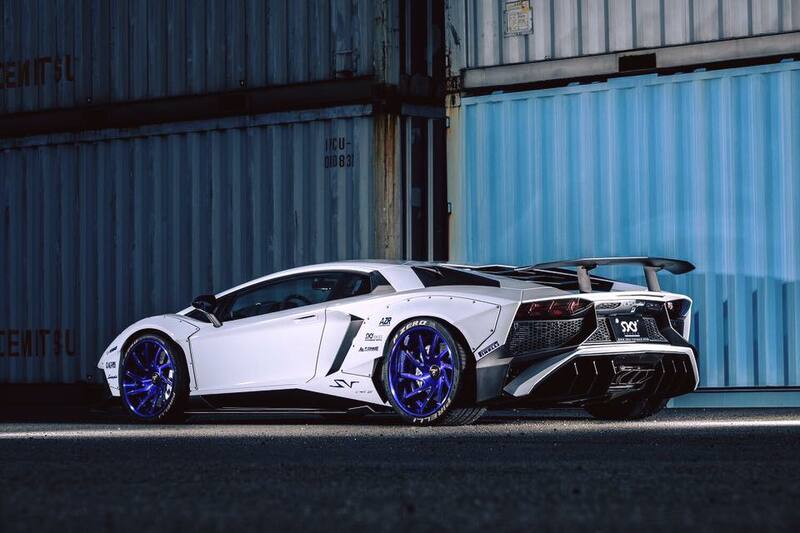 Liberty Walk…we make a beautiful car look cheap. 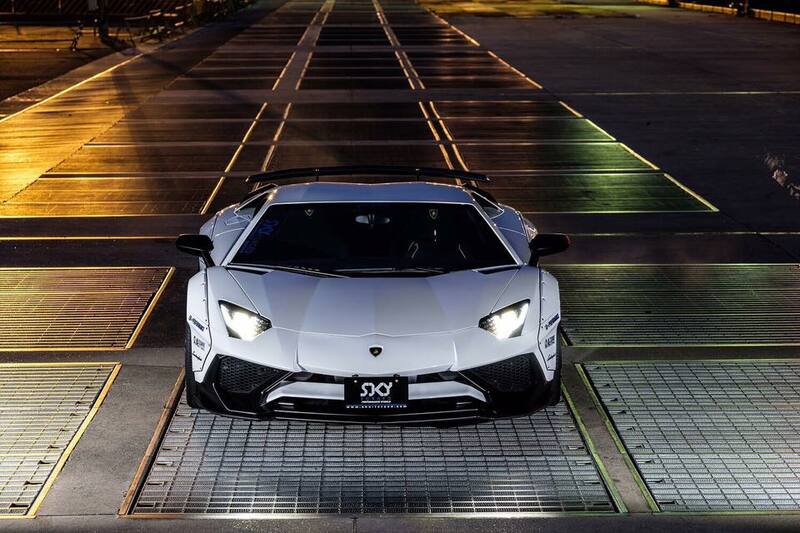 I wish i can say its neat… but it is Not. 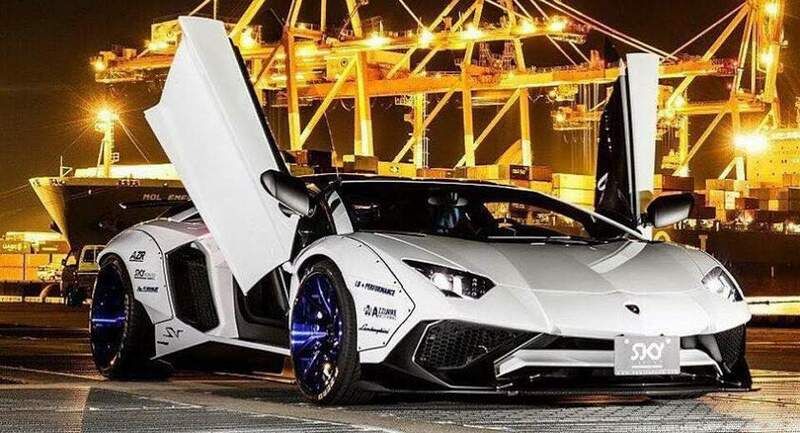 poor lambo, I feel so sorry for you.